Ready to look back on some of those great PlayStation Classics again? It feels like a good day for it. Especially since this time, we are going back to examine the roots of a now very popular series. 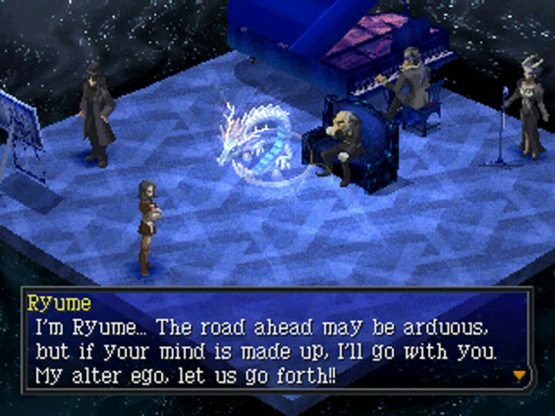 Did you ever play any of the earlier Persona games? You may be playing the first installment, Revelations: Persona, on your new PlayStation Classic. But, while Revelations: Persona is a bit of a mess, the Persona 2: Eternal Punishment PSOne Classic makes things better and gives PS3, PSP, and Vita owners to see how the series grew and led into games like Persona 3, 4, and 5. 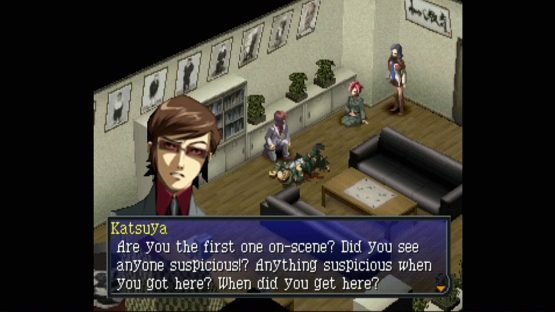 Like Revelations: Persona, Persona 2: Eternal Punishment starts small by looking at a supposed urban legend. Maya is a reporter at Coolest magazine, and she has been tasked with investigating a rumor that suggests people who call their own cell phone number can be connected with some supernatural force that will make their wish come true. On her initial investigation, she finds it to be quite true. Except Joker is a murderer who goes around killing things. The situation then escalates. Philemon, the butterfly man from Revelations: Persona appears after Maya and her allies learn about their Personas for the first time and warns them that the world is in danger. The Joker isn’t just some urban legend. It is a plague and a curse. There is a New World Order with mysterious plans influencing events. Not to mention, a young man named Tatsuya who knows more than he is telling keeps appearing. What really makes Persona 2: Eternal Punishment unique is that it is only half of a whole, but is executed in such a way that people don’t have to have played its counterpart. In a way, you could say you are better able to feel like Maya and get what she is going through if you only play this entry (or play this one first), due to what happens in the game. The story is fully fleshed out and engaging, but we have hints of what is happening beneath the surface. Fortunately for us, those who do want the full story have been able to enjoy it since 2011. That is when the PlayStation Portable updated version of Persona 2: Innocent Sin was released. This game’s story also involves Maya, our Eternal Punishment heroine. Except there, she isn’t the star. Instead, another character who appears in both games is the main focus. It is his story, and she is along for the ride to support him. I am not going to mention what’s happening there, in case you start with Eternal Punishment first, but it is very cool. In fact, I would almost suggest starting with Persona 2: Eternal Punishment. That is how I, due to the virtue of having played the game after its original PlayStation release, experienced it. It almost made things better by going to Innocent Sin second, rather than first, because it helped answer questions I had and allowed me to go into Eternal Punishment as a blank slate (just like Maya). Persona 2: Eternal Punishment is when the series started getting good. 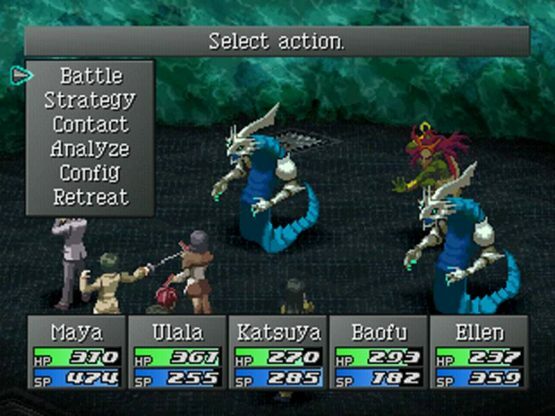 As much as I loved Revelations: Persona, there were map and enemy encounter rate issues. Not to mention, its Snow Queen quest was blocked off unless you used cheat codes. This first part of Persona 2 is much more solid, introduces some great characters, and helped set the series on the right path to Persona 3. This PSOne Classic is $9.99 in the US PlayStation Store.